The Bonamici Racing designs and manufactures the rearsets for most sport bikes currently on the market, the latest news are the kit for the new Kawasaki ZX-10R 16/17 made to use the OEM quickshifter in reverse mode. Made from Ergal billet with CNC technology, the Bonamici Racing rearset are robust and effective, adjustable in many position, with the use of bearings to completely eliminate the friction on the levers, a spring for the assisted return of the rear brake lever. 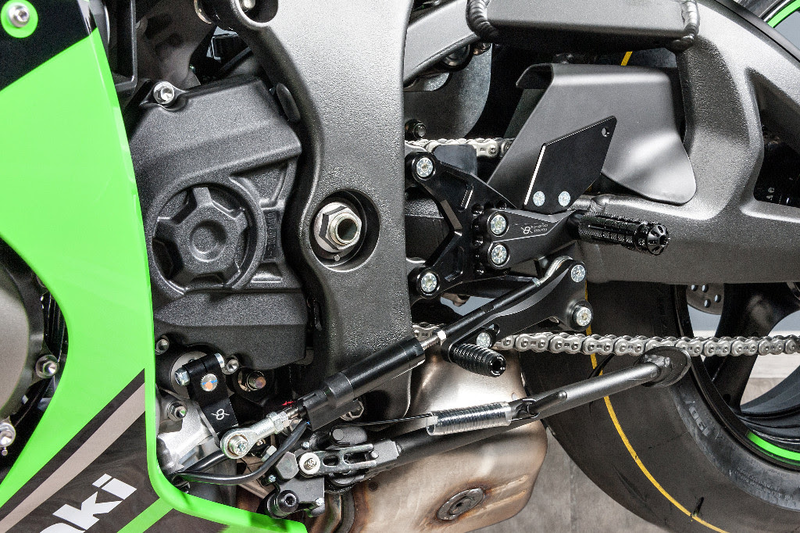 The kit of rearset is available in standard black colour with the possibility to have other colours or customize with racing footpeg, fold-up footpeg and frontpeg, laser engraving and other accessories.